The NPHS Boys’ Basketball team went through a major transition during the 2017-18 season. 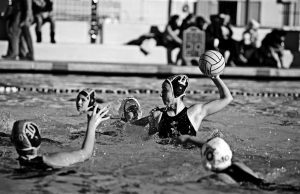 During the 2016-17 year, the team unsuccessfully finished with a record of 8-19, failing to make the CIF (California Interscholastic Federation) playoffs. Yet after a complete revamp in coaching staff to begin last year, the team finished with a record of 20-6, while achieving new school records along the way. The pressure is high for the team to remain a league powerhouse this year, ensuring they stay consistent with the expectations that came along with last year’s successes. Small forward, Nickerson DeMelfi, senior, is a two year varsity player who wants to make sure these high expectations are met. “Throughout the summer, I believe we worked harder than any other teams because we would never take a second off during practice knowing it would pay off during the regular season. 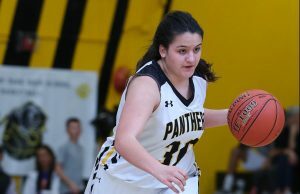 Practices were always very competitive but we also built lots of chemistry in the process which has brought us closer together as friends this year,” DeMelfi said. One of the primary changes that has lead the team to a successful season last year stemmed from a complete overhaul in coaching staff. Matt Eichinger was introduced as new head coach last season and took immediate action with his assistants. According to Eichinger, one of the leading reasons of his successful coaching stems improving various essentials. “When (the new coaches) first took over last year we wanted to change the culture of the program to a winning one, and one where we took pride in our defense and outworking the competition. We focused on a few major things that we felt needed to change a lot like defense, shot selection and rebounding. But I feel more than anything it was about building a gritty, winning mindset,” Eichinger said. The 2018-19 year is holding up to the expectations set by this team’s predecessors. 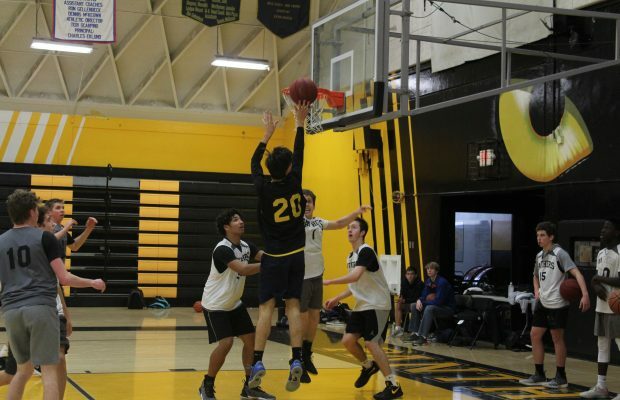 During the course of the season so far Matt Solomon, senior, broke the NPHS all time scoring record, the group placed second and third in the Northeast Valley and Santa Barbara Holiday Tournaments and for the first time in 15 years the team as secured back to back winning season. Holding up to last years team isn’t the only drive to success. Solomon voiced how playing on the basketball team has produced some lifelong memories. “I think just playing with my teammates because I’ve been playing with them for such a long time and it’s really cool to just have one more season with all of them, and then all my friends coming to games. It’s so cool to just look around and see them all cheering in the stands… and then when we win in front of them, it’s just such a cool feeling,” Solomon said. “The ultimate goal is always to develop our guys into young men who are better prepared for the rest of their lives having played in the program. We want them to develop a growth mindset, learn how to work hard and continue to improve to be the best player and person they can be. Wins are nice and losses aren’t fun, but sports are about a lot more than just winning and losing. I think the greatest measure of these things is in their attitude and effort. How well they compete and get after it every minute they’re on the court,” Eichinger said.